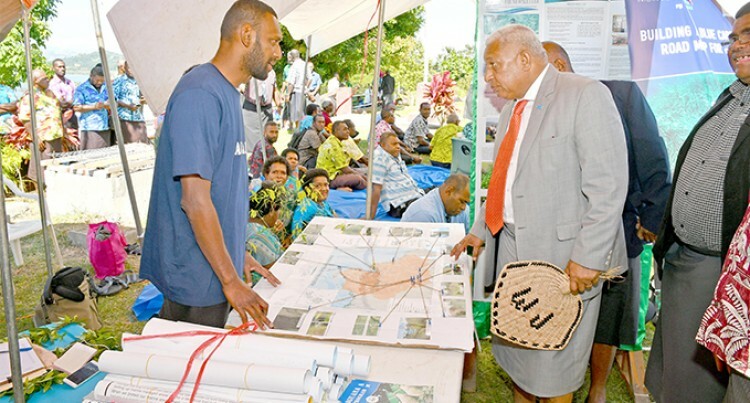 Prime Minister Voreqe Bainimarama has urged parents to set good examples for their children, thereby setting a strong foundation for the nation. Opening the Ra Provincial Council meeting at Dadamu House, Nanukuloa, Ra, Mr Bainimarama said, “values are instilled best by our families”. “And it is strong families that nurture strong Fijian citizens,” he said. Mr Bainamaramna said when parents or guardians put food on the table, put a roof over their families’ heads, worked hard and were rewarded, they set an example for their children, their next generation. That, he said, made for a better, safer and stronger Fijian society. Mr Bainimarama said while speaking of the next generation, his Government was dedicated to ensuring that they had a solid foundation from the very beginning of their lives. That was why he said as of Tuesday this week low-income mothers of newborn Fijian babies had, for the first time in history, become eligible for the Government’s Parenthood Assistance Payment. The payment is a $1000 grant paid into a new bank account for any child born on or after August 1, this year in two instalments – $500 upon the child’s birth and $500 once they enrolled in Year 1. “And the bank account that is opened for the child will be free of any fees, helping to create a culture of financial responsibility and encouraging savings from the day the child is born,” Mr Bainimarama said. He said the Government had officially rolled out a series of programmes that would assist thousands of Fijian families with purchasing homes and leases for the first time. This, Mr Bainimarama said, was similarly important to the formation of values and the creation of a strong and empowered family unit.